Investing and risk are commensurate and synonymous with one another. 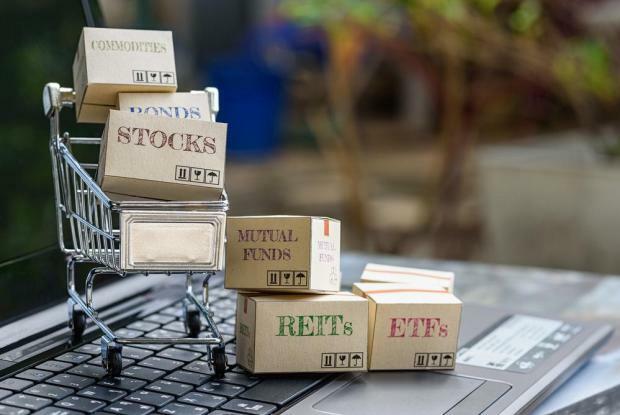 The returns on an investment, and more importantly, the volatility and risk on an investment, is what ultimately distinguishes an asset class from another. In the financial world, there are varying interpretations and definitions of risk. Depending which angle an investment is viewed from, investors and market participants view risk from their own perspective, which is fine. What is, however, important is to grasp the concept about risk and look towards getting a better understanding of how different types of risks impact different asset classes and ultimately impact asset returns. One of an investor’s greatest challenge is to quantify and understand the level of risk being undertaken when putting his/her hard fought earnings to work, and the likelihood/probability of the risk of losing those monies (in whole or part of) throughout the duration of the investment. It is commonplace for an investor to oversee market risk and just focus on issuer-specific risk, so tying the two of them together is critical in getting the overall picture of an asset’s risk and the different types of risks between the varying asset classes. As we witnessed in 2018, financial markets are influenced by an endless number of market forces which interact and combine to create millions of daily transactions. Some are market driven, some are company driven, others a driven by a mere tweet yet it is still the same economic concept of demand and supply that will determine whether a security or asset class will go up or down in value. This in turn is determined by the market's overall stance on current valuations given the prevailing market outlook. This put simply is what market risk is all about - the risk that the value of an asset class would go up or down over a specific period of time, based economic and market forces. On the other hand, issuer specific risk is assessed through a series of fundamental risk metrics which calculates the financial strength of a bond issuer for example or of the profitability of a company in the case of an equity. Credit Ratings are a key tool used by investors and asset managers alike to compare using a common rating scale the varying degrees of risk of a bond issuer. A BBB rating on a bond indicates that the risk of the bond issuer defaulting on its financial obligations is larger than the risk of default of a AA rated bond. Likewise, financial models, which involves an in-depth number crunching exercise, can determine and forecast the sanity and robustness of cash flows between two equities for example and the varying degrees of risk between the two. 2018 has been an unorthodox year for assessing market returns by asset class. Correlations and theories of the way asset classes act and react in differing market scenarios have been thrown completely out of the window. Trade Wars, tweets, unforeseen political risks, the end of accommodative polices, a slowdown in China baffled asset managers this year – the volatility impact all asset classes and the market did not discriminate. I would have started off the year, given our optimistic outlook on the sanity of the global economy, by saying that holding on to cash would be a risky proposition given the concept of opportunity cost – the cost of missing out on the potential returns of equities and/or bonds. But in hindsight, cash has proven to be the trade of the year in Europe. Even though we are paying to keep cash in the form of call accounts, cash has outshone most of any other euro-denominated asset. Cash, with its 0% market risk (issuer specific risk is still prevalent, depending on the creditworthiness of where that cash is placed), serves as a cushion for portfolio returns at times of heightened volatility yet also provides that necessary ammunition to be able to purchase securities at cheaper valuations. Disclaimer: This article was issued by Mark Vella, Investment Manager at Calamatta Cuschieri. For more information visit, www.cc.com.mt .The information, views and opinions provided in this article are being provided solely for educational and informational purposes and should not be construed as investment advice, advice concerning particular investments or investment decisions, or tax or legal advice. Calamatta Cuschieri Investment Services Ltd has not verified and consequently neither warrants the accuracy nor the veracity of any information, views or opinions appearing on this website.